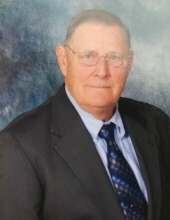 James Fletcher Smoak Sr., 78, of Ridgeway, passed away Sunday, February 10, 2019. Born January 11, 1941, in Summerville, SC, he was the son of late John Fairey and Irene Wynns Smoak. He grew up in Branchville, SC and graduated from Branchville High School. After attending Clemson, he joined the US Navy, where he served as a photographer on an aircraft carrier. His later work life centered on building and construction, superintending many large job sites. Mr. Smoak was a Mason and a Shriner. In addition, he was a member of the Christian Motorcycle Association, South Carolina Earth Antiquities Society, a Major in the South Carolina State Guard, and a reserve Officer on the Orangeburg County Sherriff Department for a number of years. Although a very active hunter when living in Orangeburg County, he later welcomed wild birds, deer and other wildlife in his yard in Ridgeway. His interest in photograph continued as a hobby throughout his life. Mr. Smoak was predeceased by his parents and his sister, Linda Smoak Williams. He is survived by his wife, Carolyn B. Smoak, sons James Fletcher Smoak Jr. (Grace) of Walhalla, SC: and John Robert Smoak of Columbia; and daughter Tara Smoak Turner (Chris) of Millersville, TN, and grandchildren Jonathan Smoak, Cooper Turner and Presley Turner. The funeral service will be held at Cedar Creek Baptist Church, 1920 Cedar Creek Rd., Blythewood, at 11am Wednesday, February 13. The family will receive friends an hour before the service in the church. Burial will be at Thompson Cemetery in Branchville at 2:30pm. To plant a tree in memory of James F Smoak, please visit our Tribute Store. "Email Address" would like to share the life celebration of James F Smoak. Click on the "link" to go to share a favorite memory or leave a condolence message for the family.